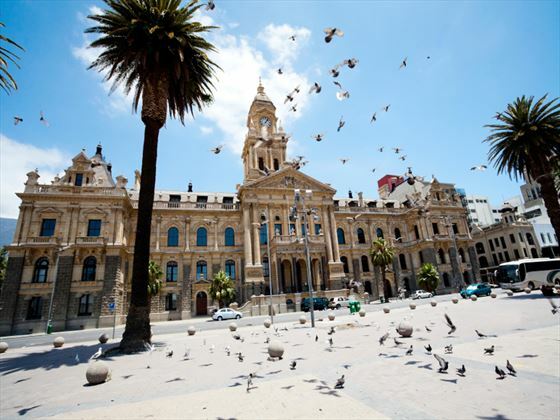 This eight day Self Drive tour takes you to South Africa’s prettiest city, Cape Town, before traversing the winding roads of the famous Winelands. 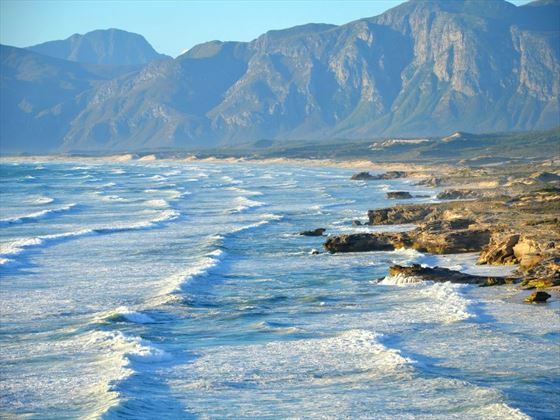 From here you’ll head on to the sleepy town of Hermanus, famous for whale watching opportunities and fresh seafood. This vacation really does take you to some of the most beautiful places in South Africa. 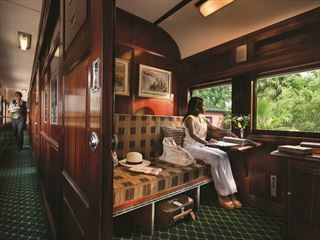 You’ll fly overnight to Cape Town. 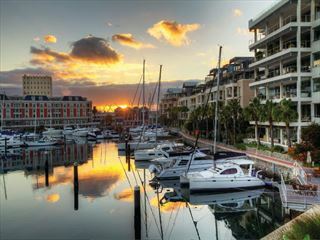 On arrival collect you rental car and then, if you’re feeling up to it, you could spend the afternoon at leisure exploring Cape Town, with perhaps a stroll around the V&A Waterfront before staying overnight at De Waterkant. Today offers you a full day of exploration. There are many different possibilities including sightseeing buses or a trip on the cable car to the top of the mountain for the spectacular views below. 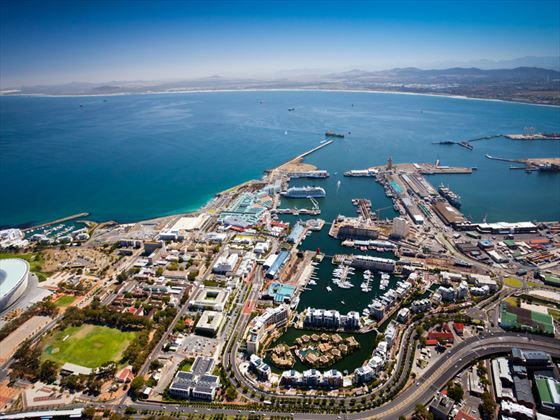 You can even enjoy the short boat trip to Robben Island, where the late Nelson Mandela was imprisoned for many years. Then return to your hotel. The third day gives you the opportunity to take the hire car and drive down the winding coast roads south, where you can enjoy the experience of seeing the Atlantic Ocean on one side and the Indian Ocean on the other – truly unique. Visit the Boulders Beach penguin colony before returning to Cape Town via Kirstenbosch Botanical Gardens. 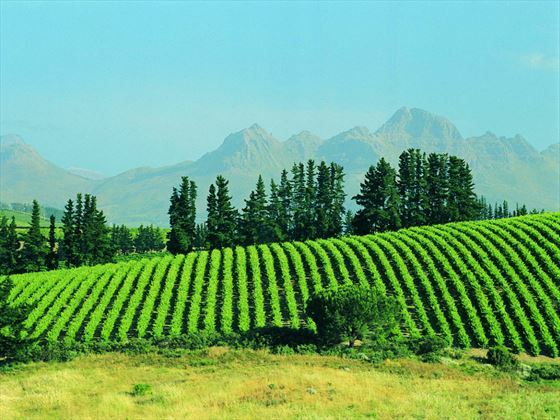 On the fourth day you’ll take a relaxed drive to the Winelands, famous the world over. You’ll be staying at Batavia Boutique Hotel, which is in easy walking distance of many fine restaurants, boutiques and cafes. Today is a full day to explore the Winelands either at your leisure or on a guided tour around some of the popular estates. You can picnic in the lovely African sun and then head over to the university city of Stellenbosch. Today is another wonderful driving day. You’ll head towards the coast through the mountains and then canter down the coastal road to the pretty town of Hermanus. You’ll stay at Les Baleines. 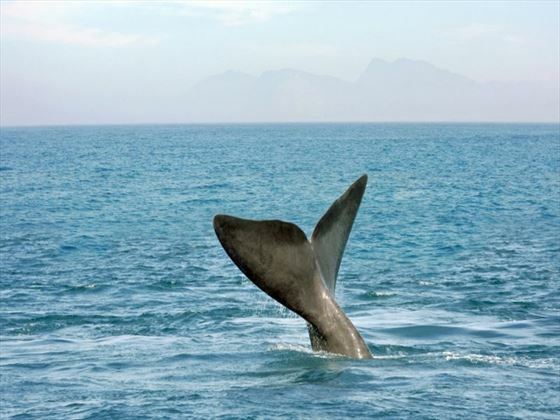 The seventh day is a full day to experience Hermanus including the opportunity to walk along the cliffs and look out for whales in the bay. Hermanus is a great place for seafood, so be sure to sample some of the fresh fish on offer. If you’re feeling adventurous you can even go cage diving with sharks. 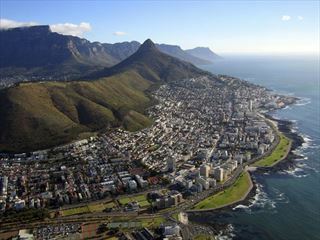 After breakfast, take a relaxed drive back to Cape Town for your return flight.